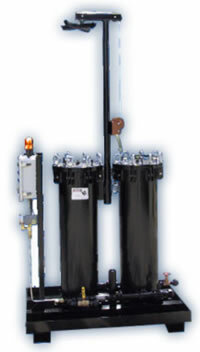 Originally designed for wind turbine gearbox test oil, our Oil Flush Carts are designed to prolong the life of high viscosity industrial test oils and liquids. 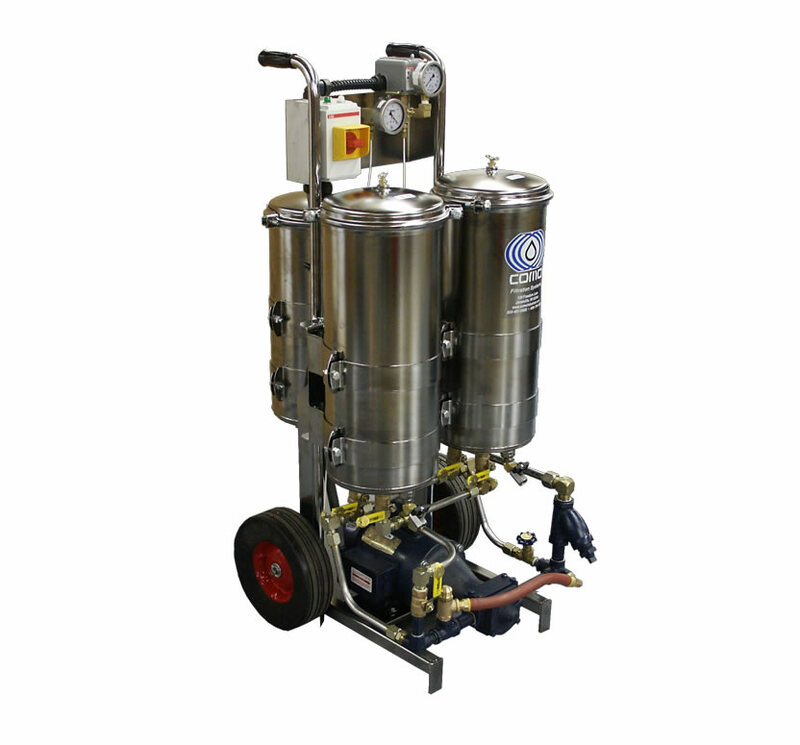 These customizable oil flushing systems remove particulate and water contamination from oil to extend its useful service life. The recycling of oil both reduces operating costs and protects the environment by minimizing needless disposal of industrial liquids. 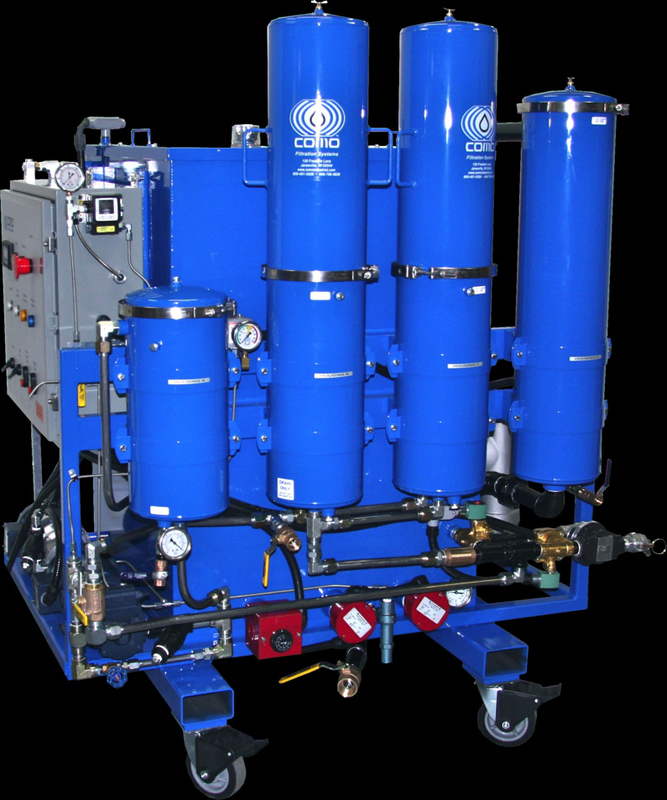 Utilizing kidney loop filtration, these systems will filter the oil multiple times before it is delivered back to the test stand. 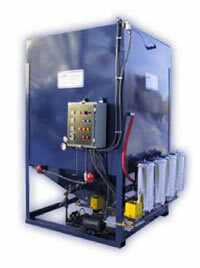 Heaters will reduce the viscosity of the oil, and aid in the filtration of the oil. 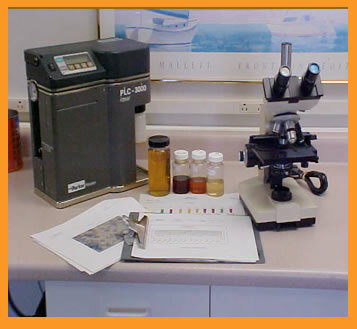 Contaminants will be removed from the oil, bringing it to an ISO cleanliness goal desired by the customer. 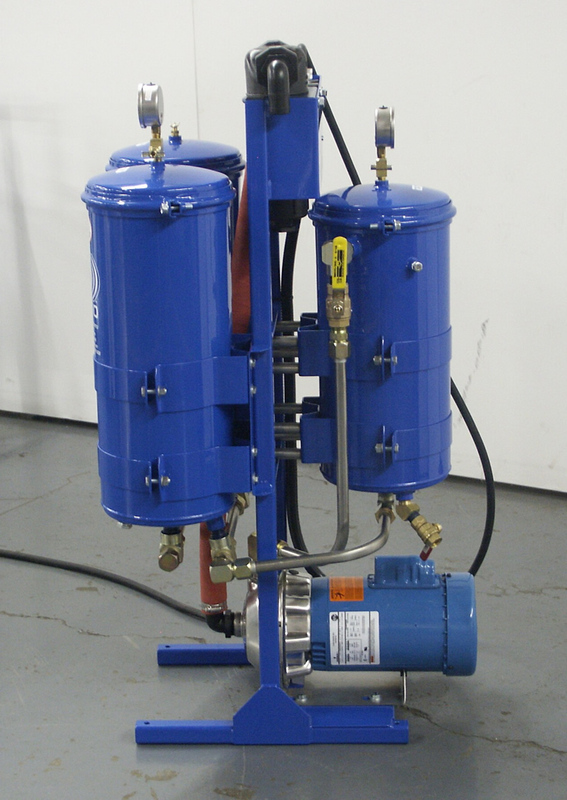 All electrical components housed in a NEMA 12 enclosure, painted to match flush cart. Over the years, we have built multiple flushing systems designed to our customer’s specifications. 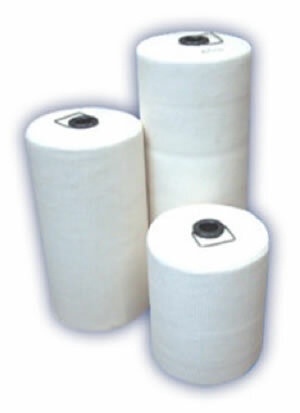 With each system, we have refined the design to minimize system complexity, increase flow through and improve usefulness.